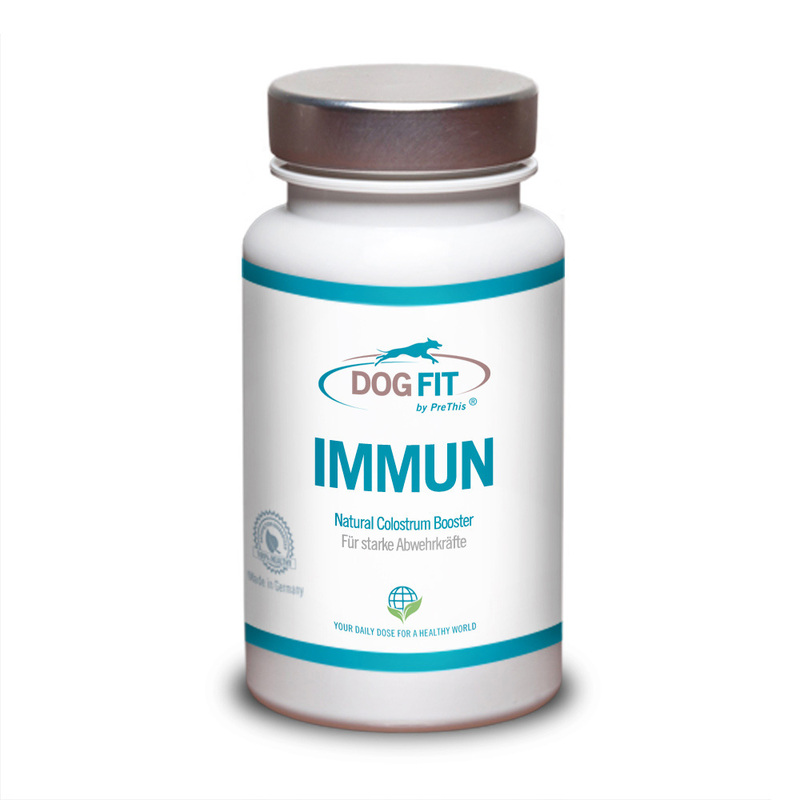 DOG FIT by PreThis® IMMUN with Colostrum powder promotes a healthy and optimally functioning immune system in your dog and supports the dog body effectively to successfully meet countless pathogens. The immune system of a dog is made up of a large number of individual components, each of which has a very special task. It is only when one of these components to an unnoticed reduction of functionality that can be dangerous pathogens spread in the body of the dog and causes an infection disease. For this reason, the dog owners always for the optimal function of the natural defenses of his dog. This is the purely natural DOG FIT by PreThis® IMMUN with colostrum the ideal way is the immune system of the dog to rich. The colostrum derived from bio-farmer (initial milk) is originally a freshly born puppies as the first food in his life and is from the milk glands of the mother enriched with all important nutrients in high concentration, the accounts the puppy for his healthy growth and the development of the immune system. In the initial milk are particularly effective antioxidants, the immune system of the puppies are supported to eliminate the various pathogens. The immune system of all mammals unfolds its protective effect only a few weeks after the birth, which the young animals in principle to the antibodies of their mother in the initial milk depend. 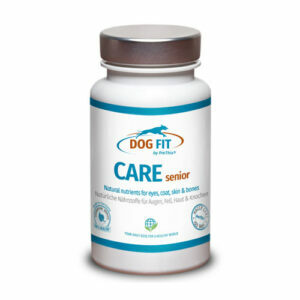 But not only in the body of young animals support can these antibodies the immune system is optimally – also an adult and older dog of their effect without a doubt benefit. Through the regular administration of DOG FIT by PreThis® IMMUN with colostrum are dogs of any age and against the dangerous pathogens optimally prepared and can have a healthy life without infectious diseases to enjoy. Our Colostrum comes exclusively from cows from controlled bio-farms from Germany, Austria and Switzerland and is particularly gently processed HACCP ISO 9001 / 9002 certified DOG FIT by PreThis® quality. Order your DOG FIT by PreThis® IMMUN with pure colostrum now! Category: Products. Tags: biestmilch, colostrum colostrum, hund erstmilch, prethis colostrum.